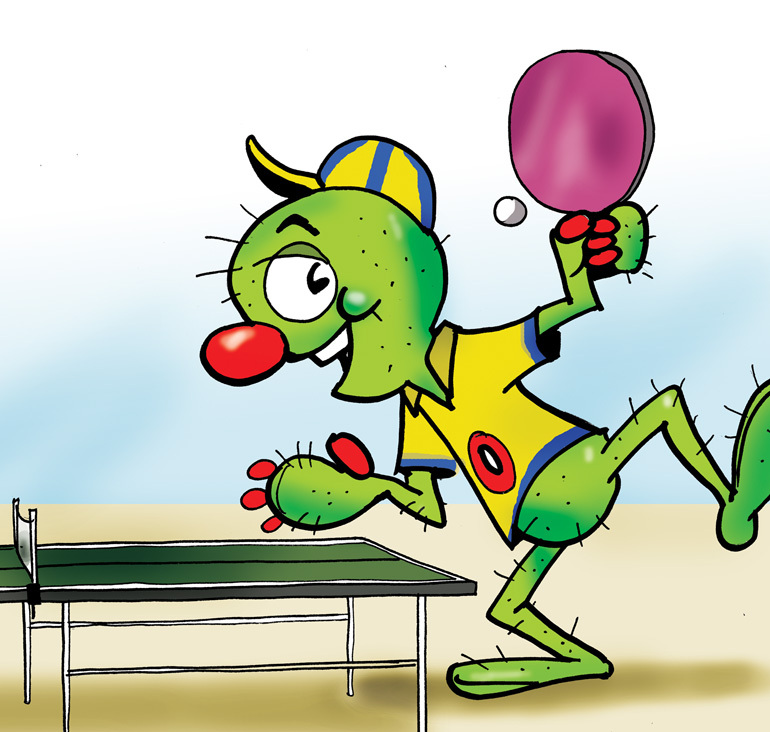 Here's an article by Coach Jon Gustavason about the problems with boosting (and perhaps speed gluing) in table tennis. He wrote, "It also appeared that at least some of the players were using boosters or speed glue on their rackets. There is absolutely no way of knowing how much was taking place, since there was no attempt to test rackets and — even if there had been — current testing methods can’t detect every possible way that table tennis rubbers can be altered." Next to the problems with hidden serves, this is the most abused rule in table tennis at the higher levels. The rules state, "The racket covering shall be used without any physical, chemical or other treatment." This makes both speed glue and boosting illegal. Others have protested about the boosting problem. Here's an article from Tabletennista, "Jun Mizutani Boycotts ITTF For His Battle Against Illegal Boosters." (Mizutani is world #6.) It's a worldwide problem. I'm sure some are wondering just what boosting is. Sorry, I'm not going to tell you. I'm sure with a little research you can find it on your own. When/if it becomes legal (or essentially legal, as explained in #3 below), I'll post about it. So how can we solve this problem? I've already tried to solve it, but met up with bureaucratic roadblocks. Just like steroids before, many of the current generation of officials simply don't take the problem seriously - it's out of sight, out of mind thinking, plus they don't want the hassle of dealing with a mostly invisible problem - even though they are really hurting players who won't "cheat." Let's look at this logically. I see three possibilities. Ignore the problem, allow rampant cheating, and handicap those who won't cheat. Sorry, this isn't acceptable to me. Spend extremely large sums of money on extremely sensitive equipment that'll detect boosting. (It would probably have to be developed for this express purpose.) Unfortunately, this just isn't affordable and so isn't feasible. Change the rules (or to resolve the problem in the U.S., just the USATT Tournament Guide) to specify that any racket that passes the racket testing procedure shall be deemed legal for that tournament. Then boosting becomes normal, and the only change is that the few top players who currently don't boost because it is illegal will no longer be handicapped since their boosted rackets would be declared legal. Number three seems the only possible solution. Some would argue that they would still be cheating, since they have used a "treatment" on their racket – but any treatment is a matter of degree. Cleaning your rubber with water or racket cleaner is a treatment, but doesn't rise to the level that's considered a treatment. All this does is set the limit for what is considered to have been a treatment. The rules also state that the serve begins with a "stationary" free hand, which is physically impossible without cooling the hand to absolute zero (about -460F or -270C), and so all serves are illegal – but common sense is applied instead, and the free hand is considered "stationary" if the hand roughly comes to a stop. So if one argues that a boosted racket that passes the racket inspection procedure is still illegal would also have to argue that all serves are illegal. They'd also have to argue that that it's better to close their eyes to the matter and allow rampant cheating (#1) than deal with the problem (#3). One could respond by saying, "Prove all these players are boosting." Well, that's the problem, isn't it, when we set up an unenforceable rule, where players willing to break the rule get a huge advantage? That's how baseball avoided the steroids issue for years, by not enforcing the anti-steroid rules or testing for it, and then demanding proof that players were abusing the rule by using steroids. The difference is that they were able to put into place steroid testing procedures; we can't realistically put into place boosting testing procedures. The amazing thing is there are many players out there who illegally hide their serves and illegally boost, and are proud of winning when they beat a player who doesn't do either. I don't really object to a player doing these things if the opponent is doing them – and since nearly every opponent is boosting, I don't really object to players boosting. I object to those in charge of the rules not addressing the problem. Let's resolve this issue, okay? If this were changed to the following, I think it would solve the problem. I’ve only added the last sentence, which I've bolded. 5.h. Determines the legality of clothing and equipment. The USATT Dress Code and the red/black racket rule must be consistently enforced at all tournaments. Any racket that passes the racket testing procedure would be considered legal for that tournament. When I started playing in 1976 I had problems with jerky strokes. I worked with a kid who probably hit just like me back then. We spent much of the day smoothing out his forehand. One kid really likes serving fast serves. He had two sessions where he just served fast, aiming at my Gatorade bottle as a target. I may show him video of the world's fastest serve. For the second time I felt a strain in my arm while demonstrating a smash for a student. I'm still wearing the arm brace to help protect the arm, but I do need to remember to warm up before demoing a smash. During breaks I often watch forlornly as six or more kids play games on my computer. I never get to use it anymore!!! As I've explained to the other coaches, if I take it back to check email or write, I make six people unhappy to make one (me) happy. If I let them use it, six people are happy and only one is unhappy. Dang it, "The needs of the many outweigh the needs of the few." We had the usual trip to 7-11 during the two-hour lunch break. The store manager gave us two free Slurpees. I took them back to the club with a huge number of straws. If you've never seen five kids with five straws all slurping from a single Slurpee, you haven't seen anything. Episode #167 (22:34) - Antispin (and other segments). Here's the video (3:35) from Table Tennis Daily. I'm relieved at the positive review as my club and I are both sponsored by Butterfly, and we've been anxiously awaiting the coming of the new plastic training balls. Here's the ITTF press release. It will be held on Dec. 9 in Lisbon, Portugal. Here's the interview with Swedish rising junior star Hampus Soderlund, by Matt Hetherington. Part 1 and Part 2 (from Pong Universe). Here's the video (4:11) with highlights of their match in the Chinese Super League. Fang puts on a show!!! Here's the cartoon! And here are two pictures of him playing: photo1 (with Woodstock) and photo2. Here it is - whatever it is! Any suggestions for a caption?